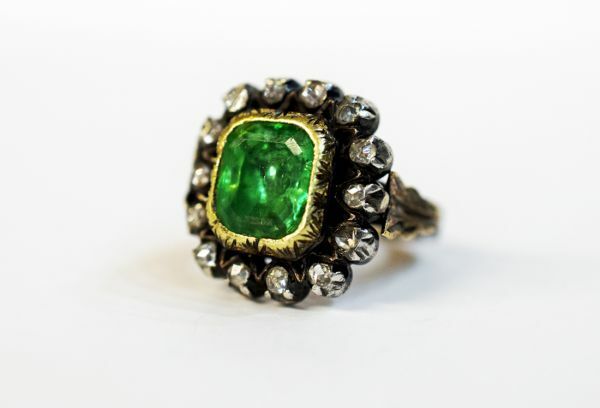 A beautiful Georgian 10kt yellow gold and silver ring with an applied engraved leaf each side of the shank, circa 1820, featuring 1 rectangular mixed cut light yellowish green emerald, est. 3.20ct and 14 rose cut diamonds,est. 0.40ct (clarity:SI1-I1 & H-I-J colour).